"It can brew one cup or 14 cups so it's good for families." "Make brewed coffee, iced coffee, and even lattes or cappuccinos." "Designed to keep your coffee at the perfect drinking temperature." "Has a stunning hourglass shape, with subtle wood and leather accents." "Choose a classic coffee, a richer brew, iced coffee, or even specialty brews." "Great when there's one coffee drinker or you like easy cleanup." "This 10-cup coffee machine is made like a professional machine." "Use it for hot cider, mulled wine, or even hot water for tea drinkers." "Double-wall construction acts like a thermos to keep your coffee warm." "The unique design looks like it should be in a museum." If waking up to a fresh pot of coffee each morning is what you crave then a programmable coffeemaker is the best option for you. The stainless steel construction on this machine lets it blend into your kitchen's decor without being an eyesore. It can brew as little as one to four cups and go up to 14-cups so it's good for families that drink a little or a lot. The 24-hour program setting lets you set your brew for the next day as you are finishing up this day and it has a 0-4 hour automatic shut off so you won't worry if you rush out the house. The reusable gold-tone filter eliminates the need for pesky paper filters saving you an early morning trip to the store. Did we mention the self-clean function? An Amazon best-seller, this model has over 2,900 glowing reviews that applaud its design and ability to make a delicious hot cup of coffee. Who says you need to be a pod person to achieve fantastic single-serve coffee brewing? The Ninja Coffee Bar eliminates the waste of plastic capsules while offering a wide range of possibilities for your individual coffee brewing needs. Use the coffee of your choice to craft hot and cold drinks including brewed coffee, iced coffee, and even lattes, and cappuccinos, courtesy of a milk frothing wand. For its versatility, power, and relatively nice price, it also has a remarkably small footprint, and snuggles easily into a cramped kitchen. As with most all-in-one devices, this multi-beverage machine makes serviceable versions of coffee-shop favorite drinks, even if it isn't as high-octane as the equipment in the café. No company beats Bonavita for their expertise on hot water—and considering that brewed coffee is actually 98 percent water, there's no better place to turn for better brewing through H20. Bonavita, a manufacturer famous for its electric kettles (among other steamy tools) makes one of the best budget-friendly brewers out there: Where most low-price coffee makers heat brewing water to around a measly 185 degrees Fahrenheit as opposed to the ideal temp of 195–205 degrees Fahrenheit, this one is built with ideal brewing water in mind, and hits the mark every time. The Bonavita BV1099TS Carafe Coffee Brewer is practically a steal at around $135, considering how easy to use it is, how reliable its brewing temperature is, and the fact that it comes with an insulated carafe, designed to keep your coffe at the perfect drinking temperature for longer. While they might not be the fanciest-looking machines on the market, these workhorses are built to last, built to brew, and won't break the bank. Check out our other reviews of the best budget coffee makers available on the market today. Still one of the most gorgeous and useful brewing devices ever invented, the Chemex undoubtedly deserves its place in the permanent collection of NYC's Museum of Modern Art: Its stunning hourglass shape, subtle wood and leather accents, and extreme ease of use make the Chemex emblematic of the blend of form and function. Unlike most other pour-over brewers, the Chemex is capable of brewing for a couple of people or for a large group as they come in 6-, 8-, and even 10-cup brew-and-serve sizes; the proprietary Chemex filters contribute to a clean, sweet, articulate flavor in the cup. Most users agree that these filters require rinsing, however. Their thickness and material can contribute a strong papery flavor to a brew without proper rinsing first. 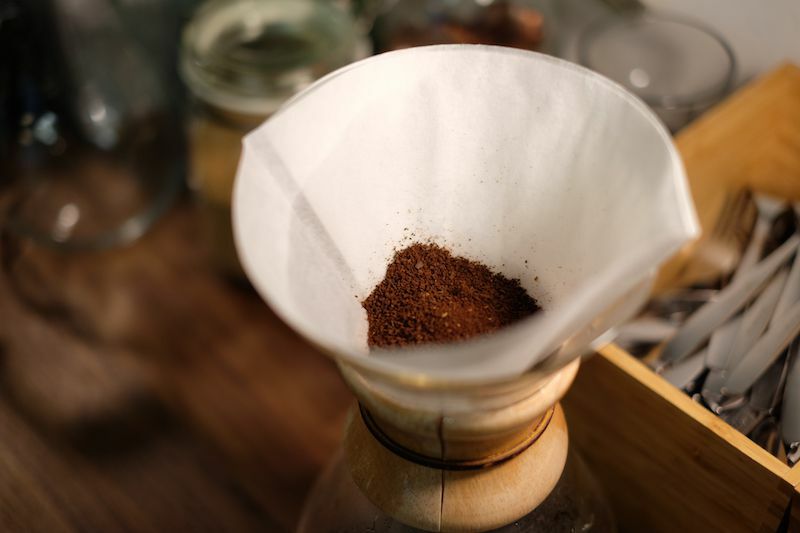 One downside of the Chemex is that the curved shape can make cleaning a pain: A bottle brush or coffee-specific cleaning products will go a long way to keeping that glass sparkling. If you want to make a variety of different coffee styles with one machine, this is the one you need. Not only can you choose your serving size from cup to carafe, but you can also choose just the right brew for classic coffee, a richer brew, iced coffee, or even specialty brews, like hot and cold layered coffee drinks. The machine draws the right amount of water based on the serving size you choose, so you don’t need to measure water for each cup or carafe. This has a 2-hour auto-off for the warming plate, and it comes with a 43-ounce carafe, an 18-ounce hot-and-cold tumbler, a milk frother, a permanent filter, a coffee scoop, and a recipe book. There is another model that comes with a metal thermal carafe, if you prefer that over glass. Sometimes a pod system works best for your family and that is okay. Pod coffee makers are great for homes where only one person drinks coffee or you just like the quick pour and easy cleanup. If this sounds like you, then the Keurig Classic is the way to go. To brew, just keep the water reservoir (holds 48 oz.) full and place your pod in the top part of the machine. You can select a 6 oz., 8 oz. or 10 oz cup of coffee but the 6 oz. will produce the strongest strength. Just hit the button and you will have a cup of freshly brewed coffee in seconds. Besides coffee, you can also buy tea and hot chocolate pods so the whole family can enjoy. If you are entertaining then a pod coffee maker is not ideal because it only makes one cup at a time. Some users also find using pods to be wasteful though you can buy reusable pods that you fill yourself. If you go to any restaurant or diner you’re likely to see a BUNN coffee maker brewing coffee all day and keeping it warm for customers. This 10-cup Thermofresh coffee machine is made like a professional machine but designed for home users. It has a stainless steel vacuum-insulated carafe that keeps coffee hot without overheating or requiring a burner. It can brew up to 10 cups of perfect coffee in just three minutes since it keeps the water at the ideal brewing temperature at all time thanks to an internal thermostat. The patented spray head design optimizes coffee flavor extraction. The stainless steel carafe is dishwasher-safe and includes a close-and-brew lid. When you won’t be brewing coffee regularly, a vacation switch turns off the tank heater. This includes a coffee funnel, de-liming spring, and filters. A single-cup coffee brewer is handy for that cup of coffee before work, but it won’t work for big family celebrations or parties when everyone wants their cup of coffee at once. This brewer will be a welcome guest at those parties, serving coffee and more, since it can also be used for dispensing other hot beverages. Use it for hot cider, mulled wine or even hot water for a party full of tea drinkers. The stainless steel exterior looks elegant and is easy to clean. This is easy to fill and has a twist-lock lid that prevents spilling and helps to maintain an even temperature. It has large handles and the cord is removable so it won’t dangle when you have to move it. A ready-to-serve light lets you know when it’s coffee time. Bodum has long been known for their French presses and other coffee equipment, and this attractive French Press is a great example of why they’re so popular. It’s made from durable stainless steel, so there’s no worry about breaking it if it’s bumped or dropped, and it’s simple to clean in the dishwasher when coffee time is over. The carafe has double-wall construction that acts like a thermos to keep your coffee warm for up to two hours, so you can savor a second or third cup. The three-part mesh filter keeps grounds out of the coffee while letting the best flavor through, and is easy to clean. The carafe has a patented safety lid that is designed to protect you from hot water eruptions as you press the grounds, so you’ll feel confident using this every day. It can be used for coffee or tea, and the same model is available in several sizes, so you’ll find one that’s the perfect fit for your family’s coffee drinking needs. While this is a definitely a splurge, it’s amazing that you can actually buy a handmade coffee machine that’s still affordable for home use. The unique design looks like it should be in a museum and is likely to be a conversation starter when you serve coffee to guests. Made in the Netherlands, this brewer has features you won’t find elsewhere, like the copper heating element that heats water quickly. The brew basket has three different settings, so you can brew a pot of coffee in about five minutes, you can opt to slow the flow to extract more flavor from the grounds, or you can stop the flow entirely to remove the carafe to pour a cup before the brewing is complete. The water pulses onto the grounds from nine holes on the water outlet arm, for even saturation of the grounds with water that is heated to precise temperatures for the best flavor extraction without excess bitterness. When brewing is done, the element shuts off, for safety. The carafe keeps coffee warm for serving, so you can sip the first cup and have a second cup warm when you want it. This is available in either brushed silver or stone gray, to fit just about any kitchen’s décor. We bought a top-rated coffee maker and our reviewers tested it for five hours. We asked our testers to consider the most important features when using this coffee maker, from its size to its special features. We’ve outlined the key takeaways here so that you, too, know what to look for when shopping. Type Think about how much coffee you’ll regularly be making and what kind of coffee you use. If you use grounds and typically serve a crowd, choose drip coffee makers (they can make up to 12 cups at once!) or grind-and-brew coffee makers, which feature built-in bean grinders. If you generally make only one cup at a time, try a single-serve coffee maker that uses pods. If your needs vary, dual-design coffee makers are a great choice, since they can brew single cups or a whole pot. Size If space is limited, you’ll need to rule out dual-design machines since they tend to be larger. A single-serve coffee maker or a compact drip coffee maker may be better suited to your space. Remember to check height, depth, and width to ensure it fits properly. And if the machine has a compartment that lifts, keep that in mind when taking your measurements. Features Some devices have all kinds of bells and whistles, from automatic shut-offs to flavor strength and even temperature control. Some machines can make both hot and cold beverages, including tea and cocoa. And the newest premium machines even have WiFi capabilities. If you’re looking for convenience, just be prepared to pay the price for advanced models.